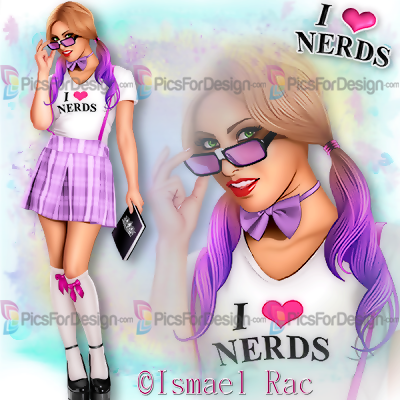 I Love Nerds - Illustration store PicsForDesign.com. PSP tubes, PSD illustrations, Vector illustrations. They are for personal use with a license number or for commercial use of their Scrapkits. They may not be resold as a Template, CU4CU ,Freebie or as R4R.